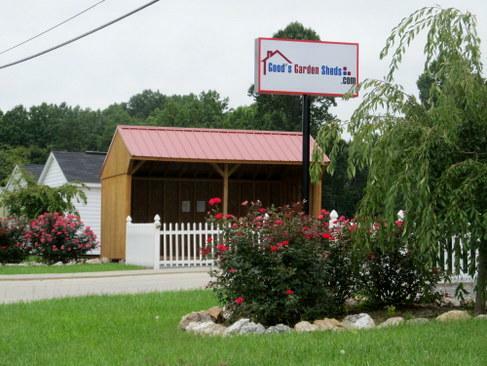 As a family owned and operated business, Good’s Garden Sheds offers vinyl and painted storage sheds in Lynchburg, VA at reasonable prices. 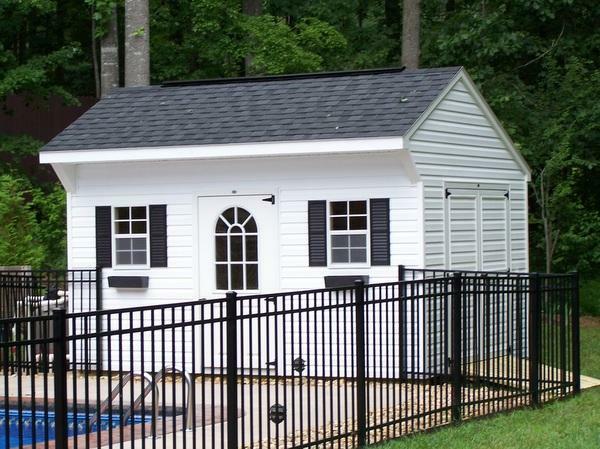 We manufacture each shed we sell in Gladys, VA. Please take a moment to browse through our selection of styles and sizes to see what would best fit your needs. We strive to serve our customers and to provide the best quality and workmanship available in the Lynchburg, VA area. Other towns in our retail service area include: Altavista, Rustburg, Bedford,Forest, Brookneal, Danville, South Boston, Roanoke, Madison Heights, Concord, Appomattox and more! You may choose a pre-built vinyl, painted, treated, or metal storage shed from our lot on Wards Rd. You can also order a custom shed and pick the style, colors, and size that best fit your needs. Use our Custom Shed software to design your own custom shed! Check out our in-stock sheds. After a shed has been on our lot for 3 months, we put it on a scheduled depreciation and lower the price at the beginning of every month (to a certain point). Click to visit our Photo Gallery to see previously built custom sheds. Our goal is to serve you to the best of our ability, and thus bring honor and glory to Jesus our Lord. We are located on Rt. 29 about 1/4 mile south of Phillips equipment.